Yellow Fever- It may be required to show a Yellow Fever certificate upon entering the country(s) visited. Please check in with your local health expert for advice on Yellow Fever and other inoculations required for this area. 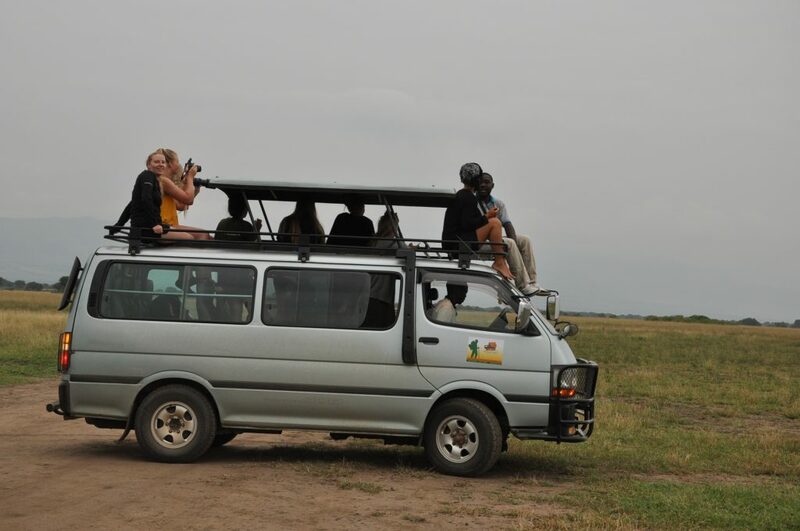 Travelling can be difficult on this tour in a few rural areas of Uganda, Kenya and Rwanda. This discovery Safari is about travelling to see what the region is like, and see some animals in game parks, to trek to see the mountain gorillas, along and some other sites in between. As such, we cover long distances and have long, bumpy travel days to get to some of these amazing locations. Despite this, the diversity and scenery of the African landscape, the local culture and abundant wildlife are all well worth the experience. Great Trekkers can never guarantee the sighting of wildlife, especially when it comes to mountain gorillas. However, the mountain gorilla trek is organized to ensure success. Before heading into the jungle, our local guides receive coordinates from trackers on the whereabouts of the gorillas, and the trackers stay with the gorillas until the group arrives. Please note that if you are unwell with anything contagious, even a common cold, you may be denied any of the treks to ensure the safety of the gorillas and chimps. This is a national park regulation, and trekking permits will not be refunded if you are denied entrance due to illness. Visitors to Uganda should be in excellent physical condition, without any heart problems and prepared to spend strenuous days in humid rain forests, steep terrain and high altitude trekking for chimpanzee and gorillas, as well as other primates. Those preferring to remain at base camp in Bwindi may do so, however, there is no price reduction. For the entire trip we use a 4 Wheel drive Vehicle –Land Cruiser type, Tourist mini Vans and walking. Luxury self contained Cottage rooms with hot showers are included as per the itinerary. You will be on the move a lot, so our advice is to pack as lightly as possible. Your baggage should be clearly labelled and restricted to one soft compact suitcase, sports bag, or backpack, no larger than 30cm(height) x 30cm(width) x 60cm(length), maximum 15kg, plus a daypack. Luggage limits on airlines are strictly enforced, and due to limited vehicle capacity, the cost of transporting any luggage beyond these restrictions is the responsibility of the client. Please note, if you are travelling with a large amount of luggage for other legs of a longer tour, you may leave a portion of it at the start hotel in a selected hotel. On this trip you may experience several types of weather. It is important to pack clothes for warm days and cool evenings, as well as a warm jacket for early morning game drives. Light, quick-drying, practical clothes are advisable for this trip. We suggest you take something warm eg tracksuit, fleece or pullover for the mountainous areas i.e. Bwindi National Park. It is at a higher altitude and will therefore be cooler in the evenings – a jersey, anorak/wind jacket and tracksuit pants would be suggested. It will also be necessary to take some wet weather gear as it does rain in the mountainous areas of Uganda on a regular basis. We suggest lightweight rain gear for the walk to see the gorillas. While gorilla trekking you will need a comfortable, hard wearing, pair of walking shoes or boots. Conditions are generally very muddy/ slippery. There are uphill sections which may be quite steep and strenuous. It is also advisable to wear a long sleeve cotton shirt and lightweight long pants to protect yourself from the undergrowth, stinging nettles and biting ants. (Tracksuit pants often get caught on bushes, thorns, etc and jeans can get very heavy when wet). Gloves are also highly recommended – just cheap gardening gloves will do. Tuck your long pants into your socks/boots to avoid biting insects. Also take a water bottle, and a day pack for camera gear and to carry your jacket if it’s too warm. Hand washing of clothes can be done at most of the Lodges / Hotels. We recommend you bring a non polluting/biodegradable soap, as well as a roll of simple string to act as a drying line for your clothes. If you arrive in the late afternoon, or if there is poor weather, it may not be possible for your clothes to completely dry. Border crossing from Kenya to Uganda through Malaba Border Post. ** Please be advised that a valid yellow fever vaccination card may be required for entry into Kenya. ** Please note that travellers looking to participate in the Rwanda Day Tour from Lake Bunyonyi, Uganda are encouraged to purchase the East Africa visa for entry into Rwanda. Shillings can be obtained locally by changing foreign currency or by using ATMs (where available) which will disperse local currency. Your tour guide / driver will inform you where you can change money throughout the tour and approximately how much money you will need for each country. Credit cards can be used in major cities and towns ONLY but please do not rely on them as a method of payment because they are generally not widely accepted. You should be aware that to purchase products or services on a credit card a fee of 5%-10% usually applies. The majority of our optional activities can also be paid by credit card. Your Guide will advise on these. Please also make sure you have access to at least an additional USD $200 (or equivalent) as an ’emergency’ fund, to be used when circumstances outside our control (ex. a natural disaster) require a change to our planned route. This is a rare occurrence! Company Lead Tour Guide and drivers: $10-30 USD each, per day worked. Optional activity prices are subject to change and can fluctuate in relation to the high/low season and the number of people on a specific excursion. Not all excursions listed here may be available, due to season, or weather conditions. All prices are listed in US dollar amounts, per person, and are examples of the entrances fees charged – this does not include hiring transport to/from the destination. And the majority of the activities should be paid in local currency. Please note that the price of this tour includes all national park and permit fees for the gorilla tracking experience in Uganda. As such, you will not be expected to pay any other fees in order to take part in this amazing experience on this tour—we include all fees of this activity within the selling price. Boat Tour of Lake $20/15 mins, $25/1 hr. Many national governments provide a regularly updated advice service on safety issues involved with international travel. We recommend that you check your government’s advice for their latest travel information before departure. We strongly recommend the use of a neck wallet or money belt while travelling, for the safe keeping of your passport, air tickets, travellers’ cheques, cash and other valuable items. Leave your valuable jewellery at home – you won’t need it while travelling. Many of the hotels we use have safety deposit boxes, which is the most secure way of storing your valuables. A lock is recommended for securing your luggage. When travelling on a group trip, please note that your tour Guide / Driver has the authority to amend or cancel any part of the trip itinerary if it is deemed necessary due to safety concerns. Your Tour Leader will accompany you on all included activities. During your trip you will have some free time to pursue your own interests, relax and take it easy or explore at your leisure. While your Tour Guide will assist you with options available in a given location please note that any optional activities you undertake are not part of your itinerary, and we offer no representations about the safety of the activity or the standard of the operators running them. Please use your own good judgment when selecting an activity in your free time. Although the cities visited on tour are generally safe during the day, there can be risks to wandering throughout any major city at night. It is our recommendation to stay in small groups and to take taxis to and from restaurants, or during night time excursions. Water based activities have an element of danger and excitement built into them. We recommend only participating in water based activities when accompanied by a guide(s). We make every reasonable effort to ensure the fun and adventurous element of any water based activities (in countries with varying degrees of operating standards) have a balanced approach to safety. It is our policy not to allow our Tour Leader to make arrangements on your behalf for water based activities that are not accompanied by guide(s). -Always leave your passport (It’s better to carry a photocopy of it instead), other valuables and money that you won’t be using in the safe deposit in your hotel room/reception. This is free of charge to clients. Our small group adventures bring together people of all ages. It is very important you are aware that, as a minimum, an average level of fitness and mobility’ is required to undertake our easiest programs. Travellers must be able to walk without the aid of another person, climb 3-4 flights of stairs, step on and off small boats, and carry their own luggage at a minimum. Travellers with a pre-existing medical condition are required to complete a short medical questionnaire, which must be signed by their physician. This is to ensure that travellers have the necessary fitness and mobility to comfortably complete their chosen trip. While our Tour Leader’s work hard to ensure that all our travellers are catered for equally, it is not their responsibility to help individuals who cannot complete the day’s activities unaided. Please refer to the physical ratings in this Trip Details document for more information. Illegal drugs will not be tolerated on any trips. Possessing or using drugs not only contravenes the laws of the land but also puts the rest of the group at risk. Smoking marijuana and opium is a part of local culture in some parts of the world but is not acceptable for our travellers. Our philosophy of travel is one of respect towards everyone we encounter, and in particular the local people who make the world the special place it is. The exploitation of prostitutes is completely contrary to this philosophy. Our Tour Leaders have the right to expel any member of the group if drugs are found in their possession or if they use prostitutes. Travel Insurance: Travel insurance is compulsory in order to participate on any of our trips. When travelling on a trip, you will not be permitted to join the group until evidence of travel insurance has been sighted by our Tour Leader, who will take note of your insurance details. After your travels, we want to hear from you! Your feedback information is so important to us that we’ll give you 5% off the price of your next Adventures trip with us if your feedback is completed on-line within 30 days of finishing your trip. Your tour evaluation will be e-mailed to you 24 hours after the conclusion of your trip. If you do not receive the tour evaluation link in the days after your tour has finished, please drop us a line at info@greattrekkers.com and we will send it on to you. wow great development the website is on standard .